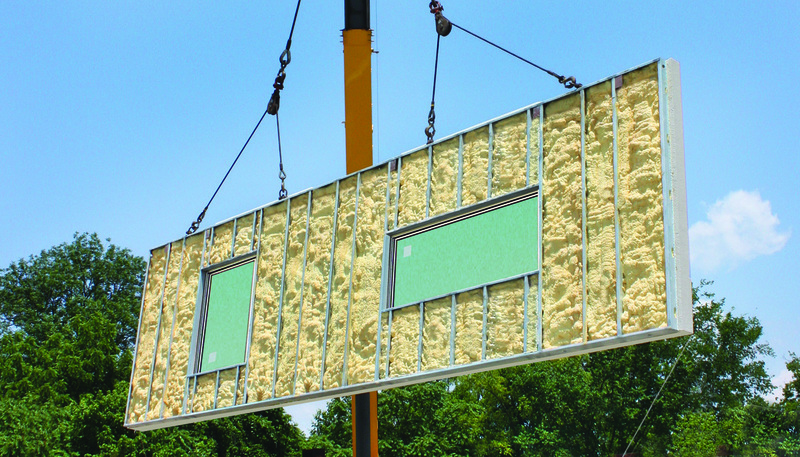 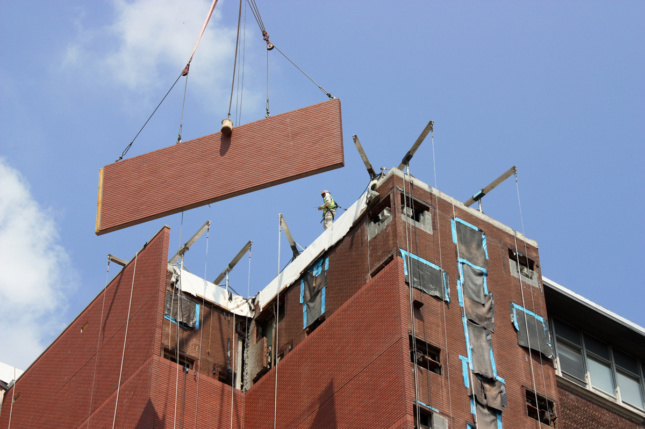 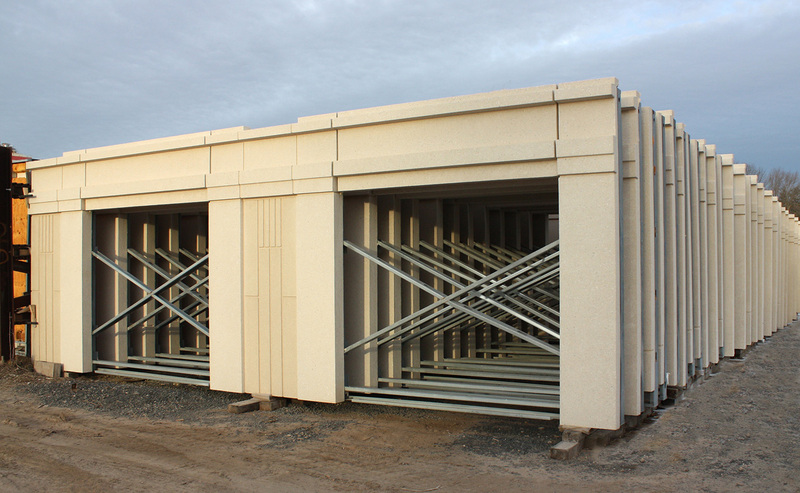 The system’s two-inch exterior precast panel is composed of architectural concrete and polyvinyl alcohol (PVA) fibers with welded-wire reinforcement. 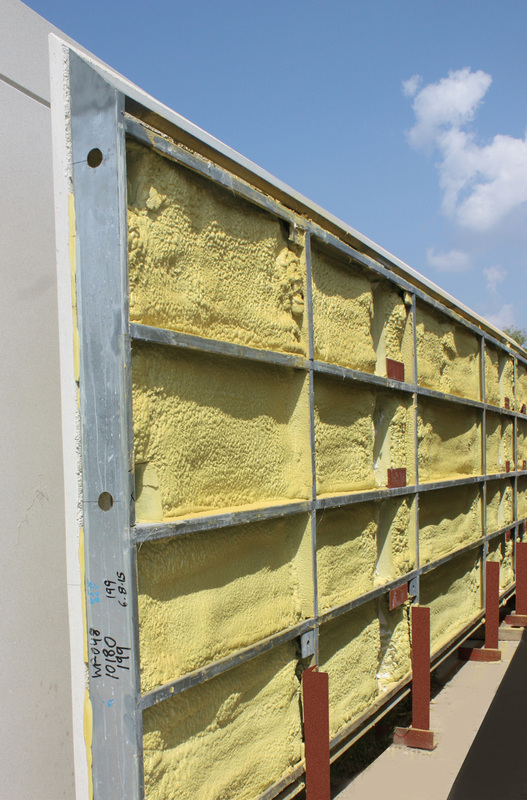 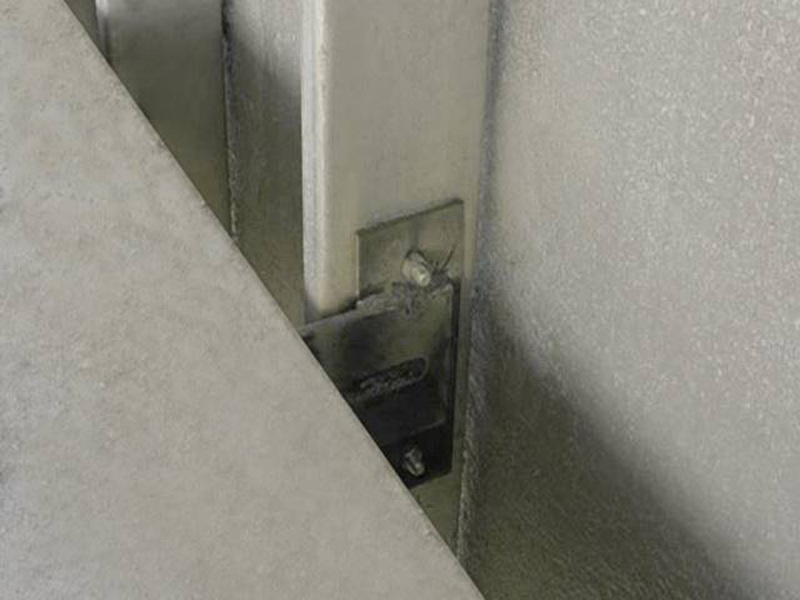 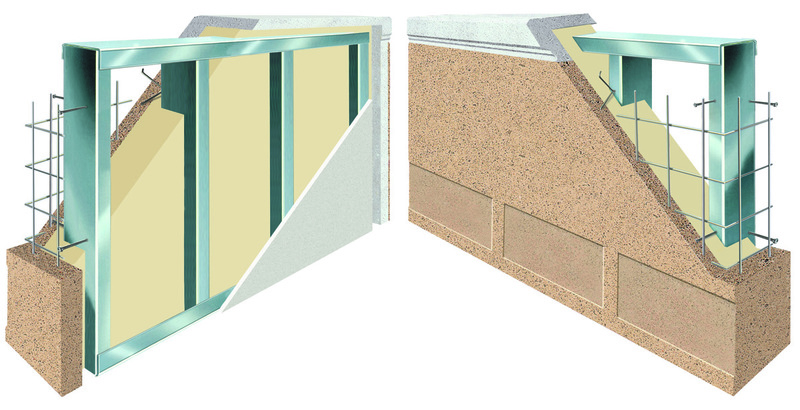 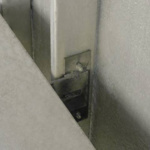 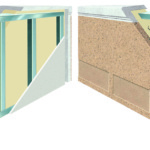 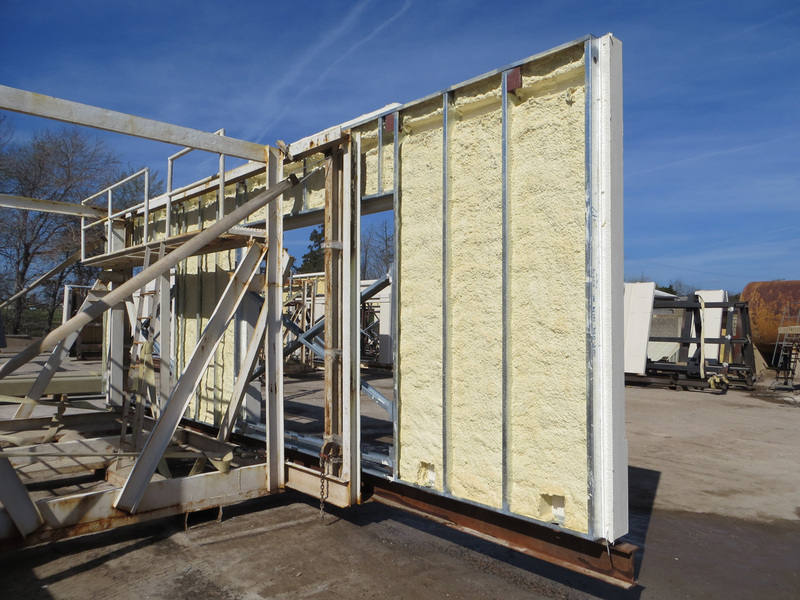 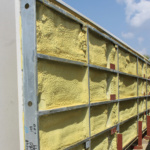 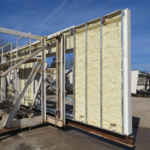 Stainless-steel fasteners attach this exterior concrete face to 14- and 16-gauge, G90 galvanized steel studs in a way that creates a thermal air gap filled with factory-applied, closed-cell foam insulation. 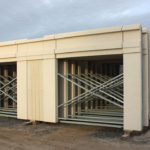 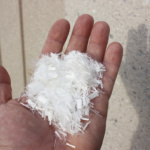 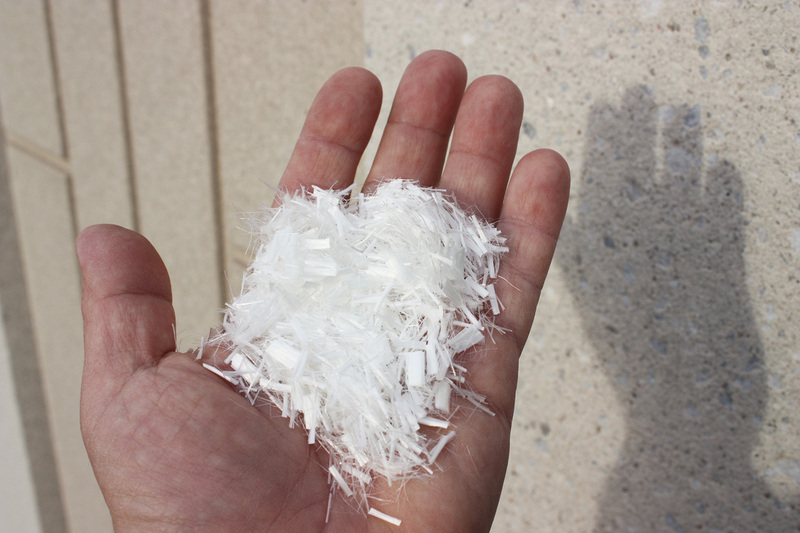 The product is marketed as a lighter-weight version of traditional six-inch precast—at only a third of the weight—and was initially produced to replace typical precast systems. 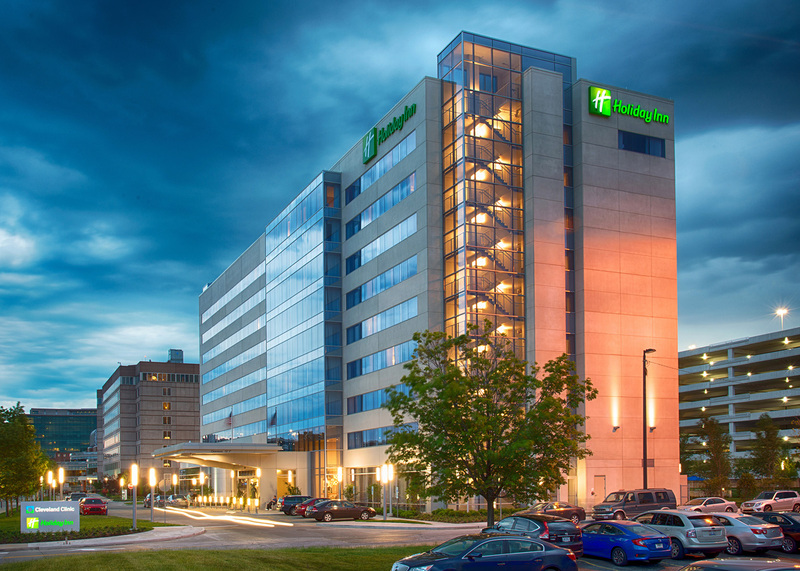 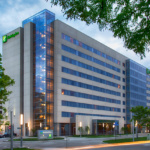 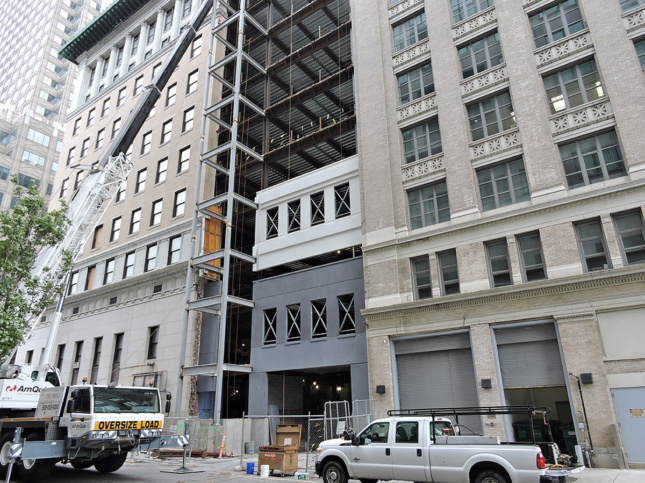 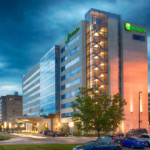 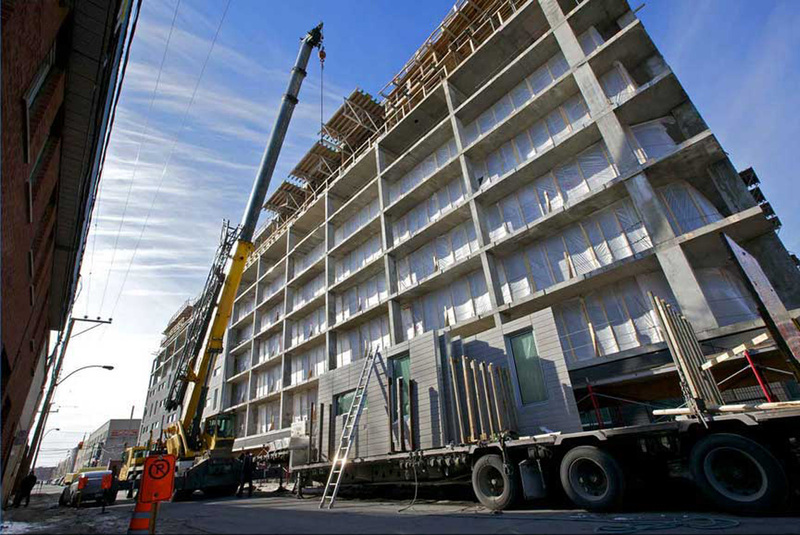 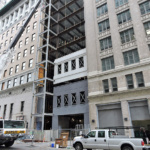 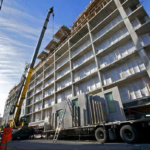 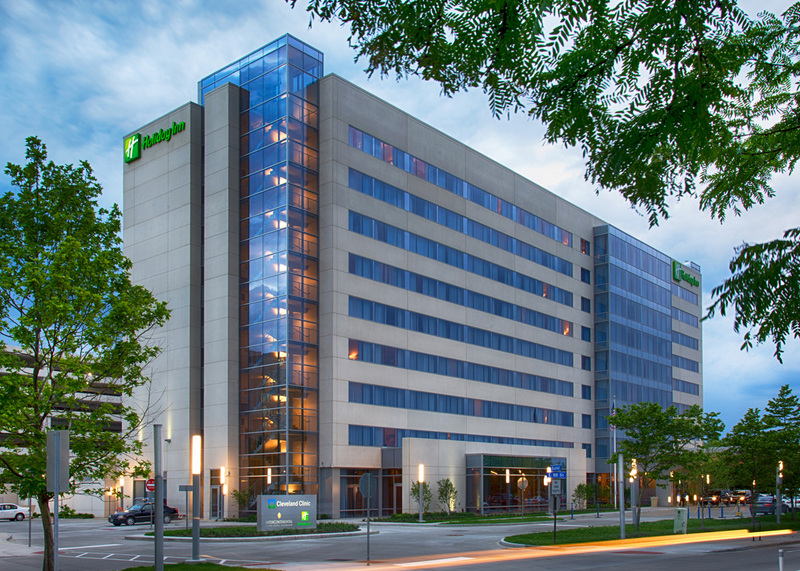 This is exactly what happened at the Holiday Inn on the Cleveland Clinic campus in Ohio, where a decision was made to convert the designed facade from traditional precast to an integrated wall assembly due to the cost of craning heavier panels eight stories into the area. 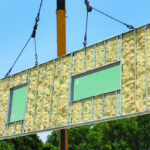 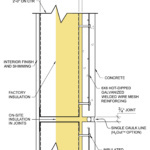 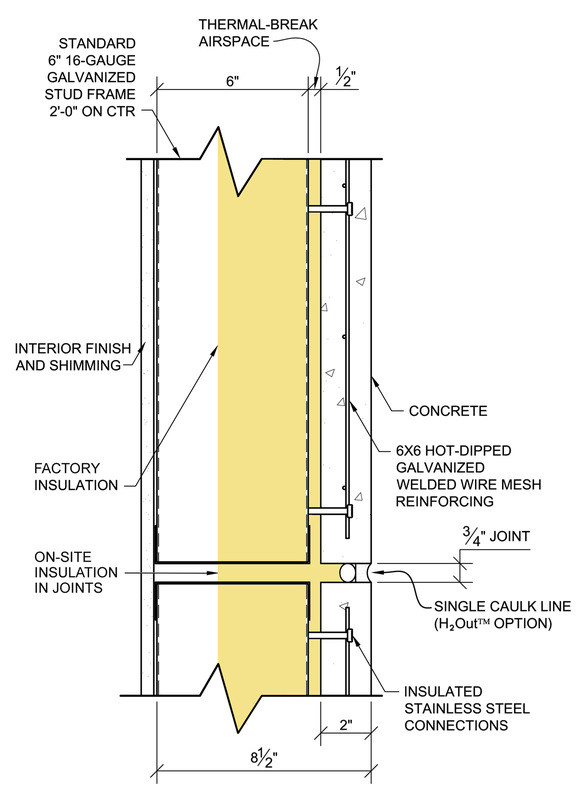 The decision to adopt SlenderWall into the design resulted in a design-build delivery format for the entire building envelope. 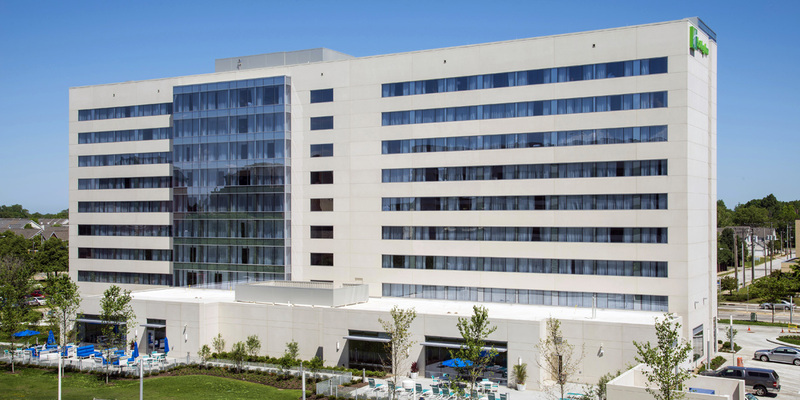 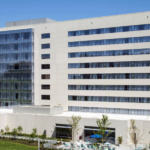 The nine-story, 276-room hotel, designed by Kaczmar Architects, Inc. (KAI) integrated Cleveland Clinic’s architectural guidelines, which called for a minimal palette with specific wood trim detailing and modern detailing. 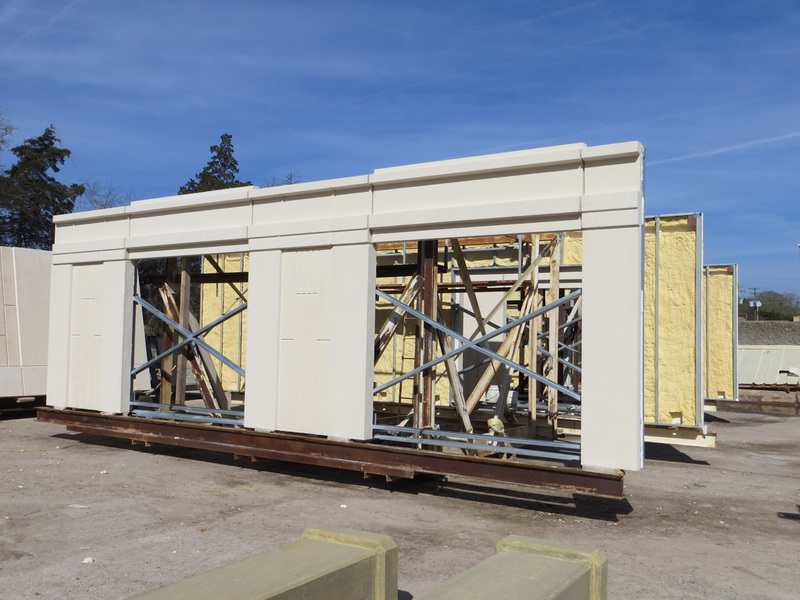 Traditional precast detailing at the base of the building, also manufactured by Smith-Midland, was able to produce a compatible aesthetic. 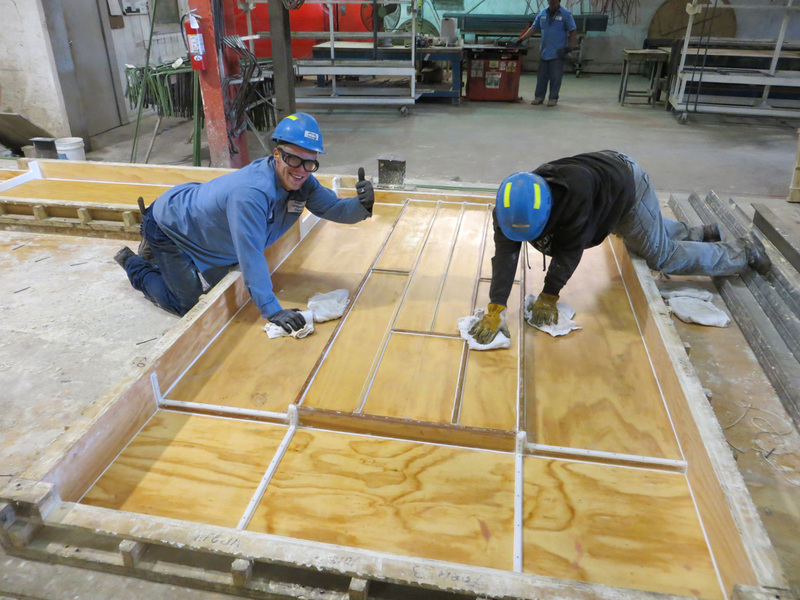 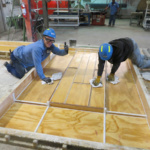 Typical jobs that use the SlenderWall product involve high levels of coordination among the contractor, the architect, and licensed manufacturers like Smith-Midland, which ultimately lays out the panels to meet project-specific structural and aesthetic requirements. 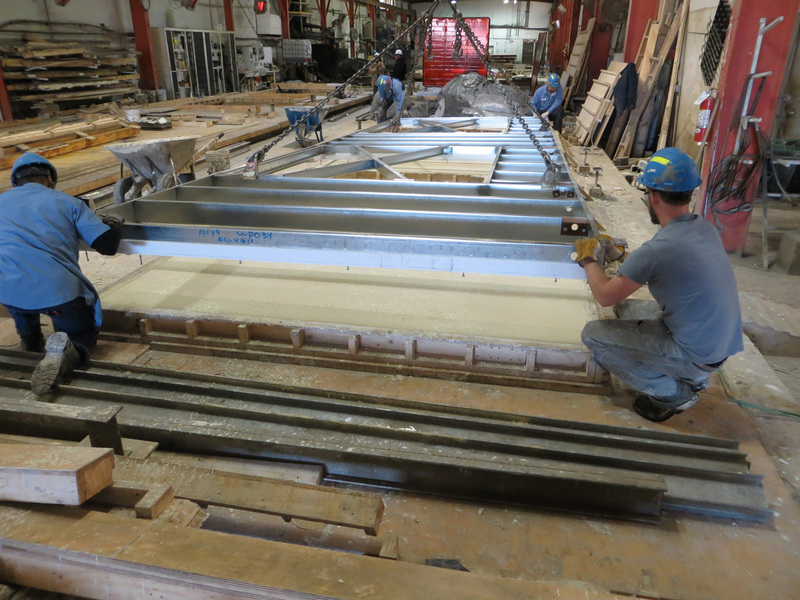 This is the lengthiest part of the process, according to Grogan, but results in a highly efficient factory-controlled fabrication process, and a fast-tracked construction process in the field. 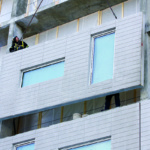 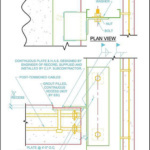 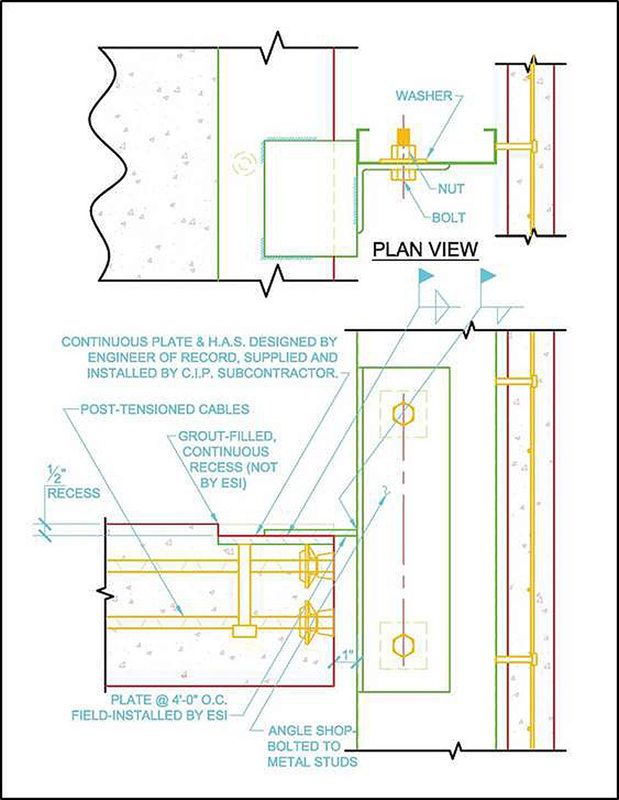 Cost savings are maximized when highly repetitive high-rise designs are able to incorporate larger format panels, and a single set of plans and details will take care of the entire building envelope. 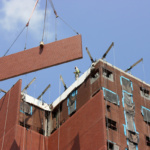 Contractors eliminate the scheduling and warranty issues that arise when multiple insulation and interior framing crews are required—and, in high-rises, the challenges of bringing in the oversized cranes necessary to lift significantly heavier architectural precast panels into place (as was the case for the Holiday Inn) are eliminated. 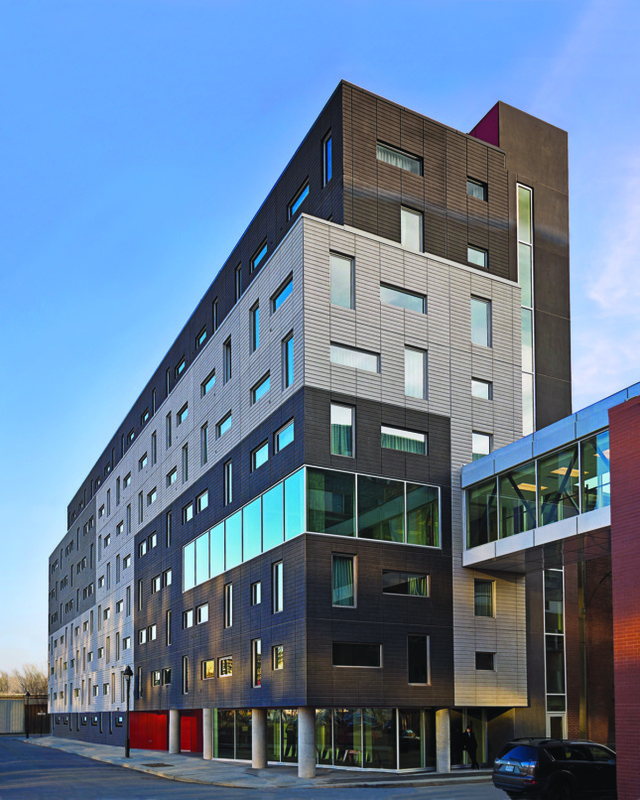 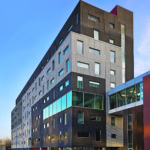 Aside from the Cleveland Clinic Holiday Inn, other projects include ETS Montreal, a student-housing complex with three-color panels in 32 different window configurations and factory-applied R-21 closed-cell foam and factory-installed windows. 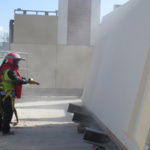 And, due to its light weight, SlenderWall is easily installed on job sites with reduced access such as with Hyatt House, a $90-million 13-story hotel on Jersey City’s waterfront. 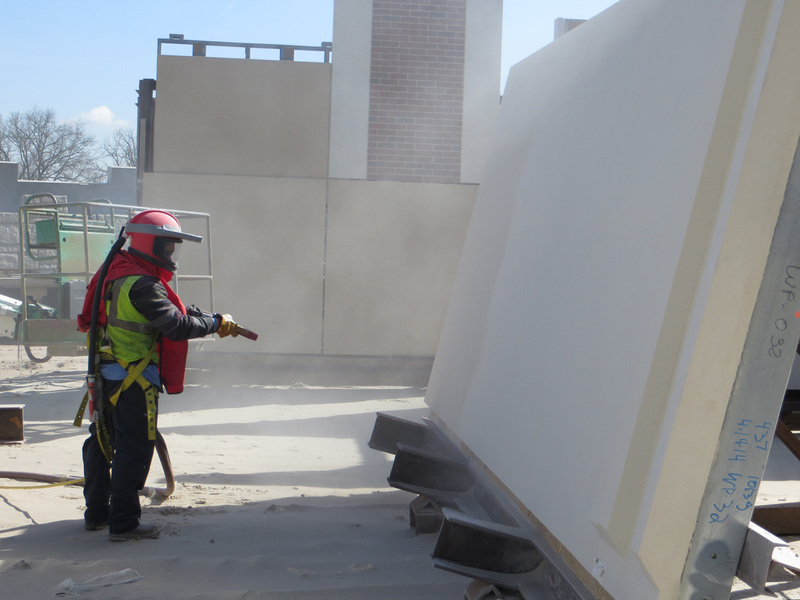 The re-cladding of a nine-story building on the Johns Hopkins Medicine Baltimore Campus also benefited from the lightweight SlenderWall system. 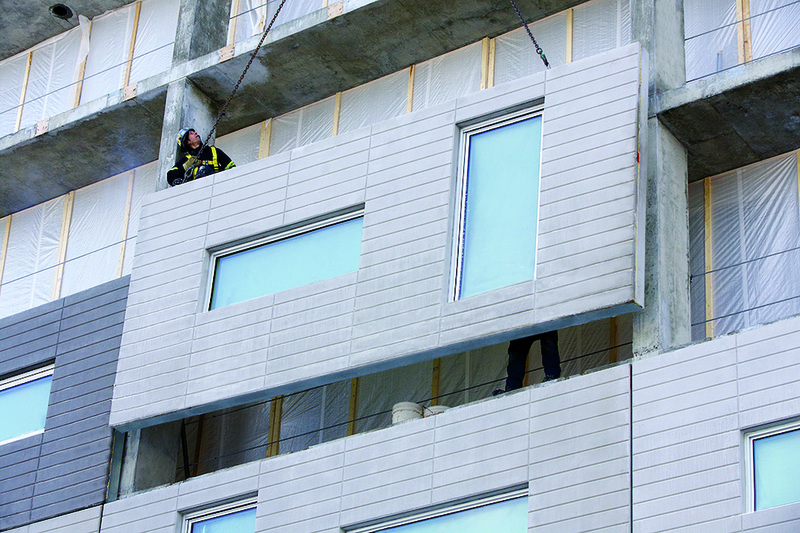 Its 30 pounds-per-square-foot specification and unique composite construction allowed for re-cladding to take place without the removal of the old fascia. 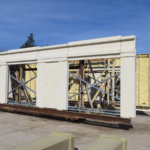 There was also no need for additional superstructure or foundation costs and the facility was able to stay operational during the exterior renovation.